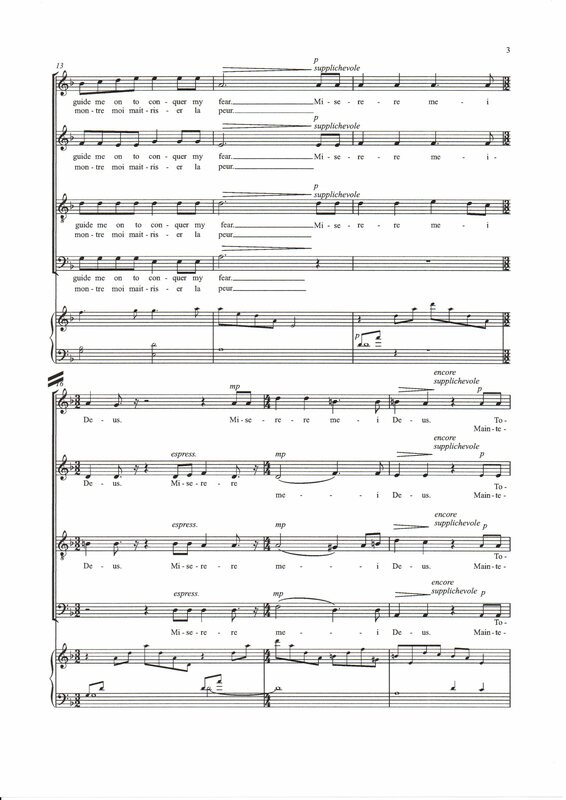 Simple and plaintive, this SATB piece is based on Psalm 50 Miserere, which can be sung in either English or French language. Listen to a live performance by Valda, an Irish chamber choir, based in Wexford, Ireland, performed in May 2017 at “Amazing Grace” concert of Sue Furlong’s music. 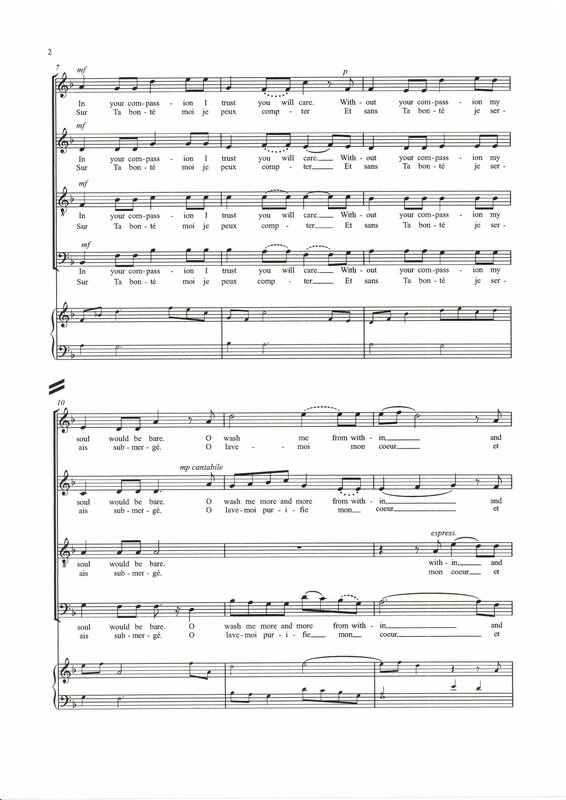 With optional keyboard accompaniment this piece works a cappella if you so choose. Backing Track also available for purchase. 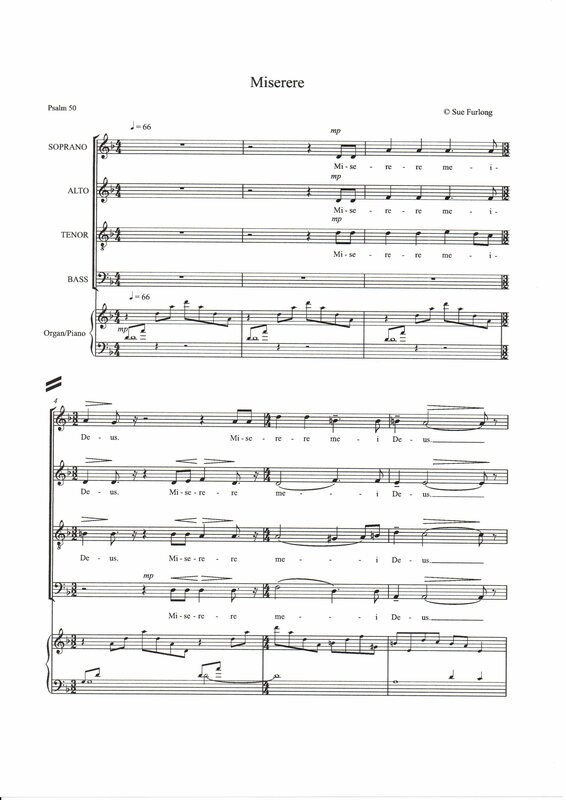 A version for Double Choir is also available.